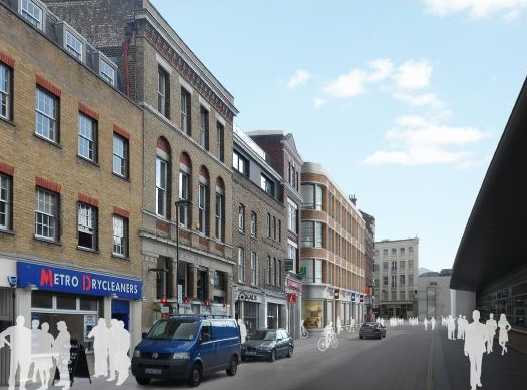 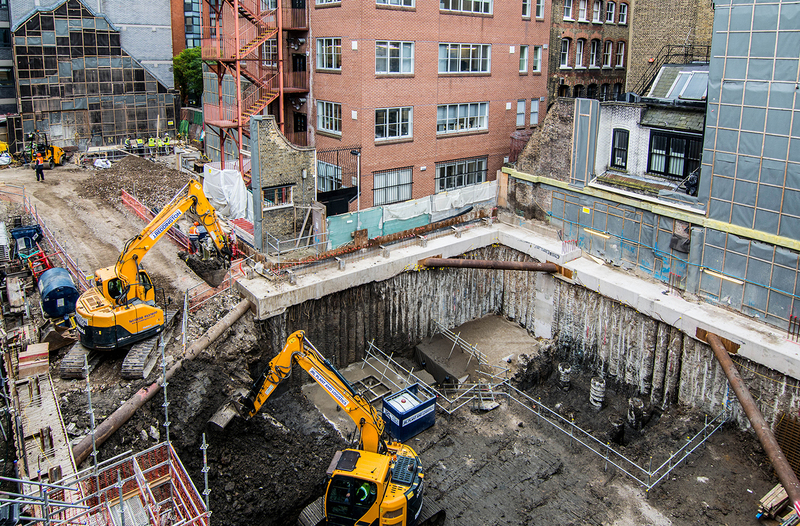 Situated opposite Farringdon Station, this project involves the demolition of three separate buildings and the construction of a six-storey mixed use development with basement with AHMM Architects. 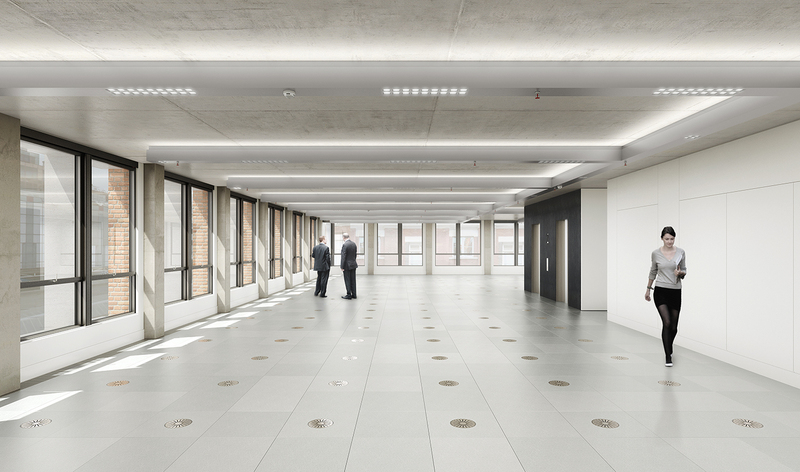 Reinforced concrete frame, with flat slab construction and exposed concrete soffits, columns and walls within the commercial space, requiring careful coordination with the architecture. 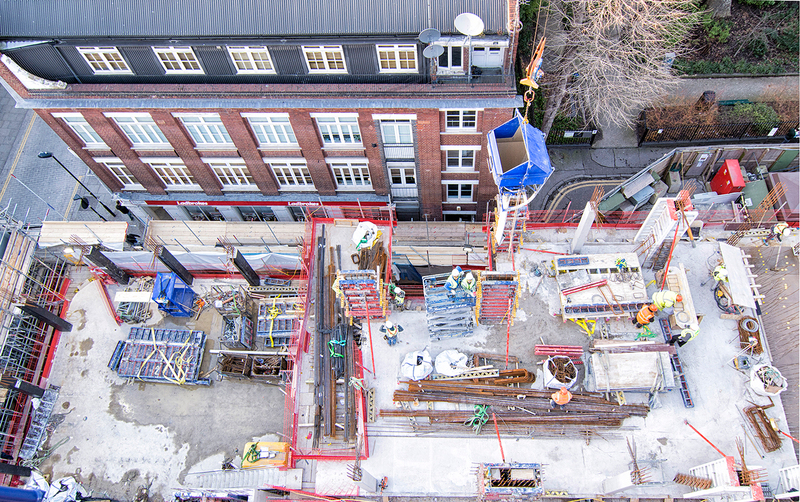 Formation of single storey basement on sloping site, with stepped ground floor slab, secant piled perimeter walls and piled foundations. 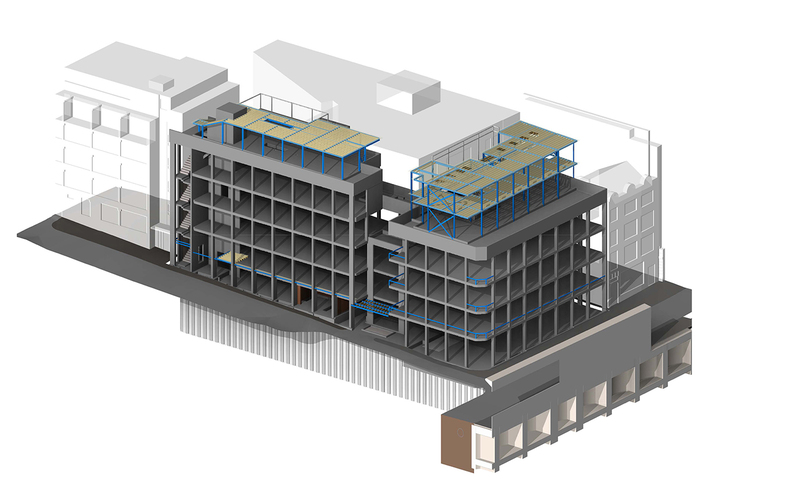 Steel podium structures to form residential units at 4th and 5th floors. 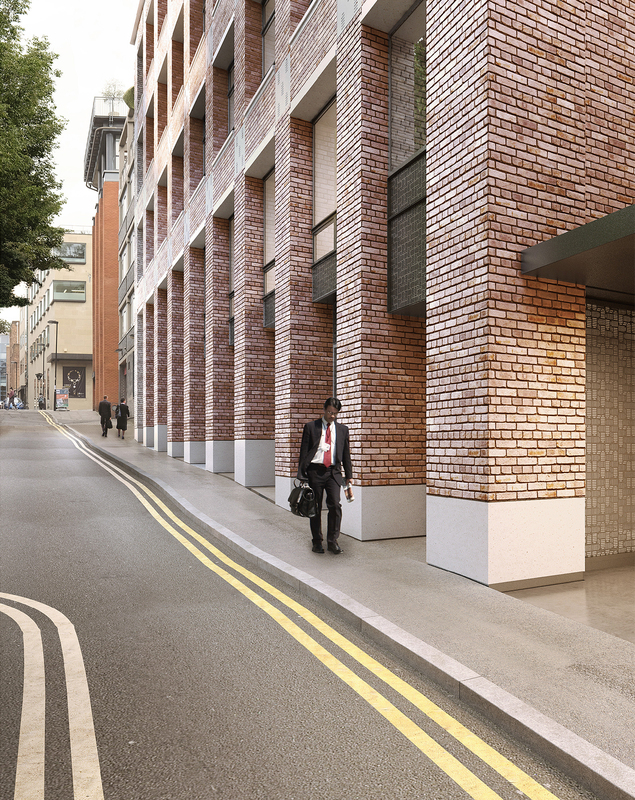 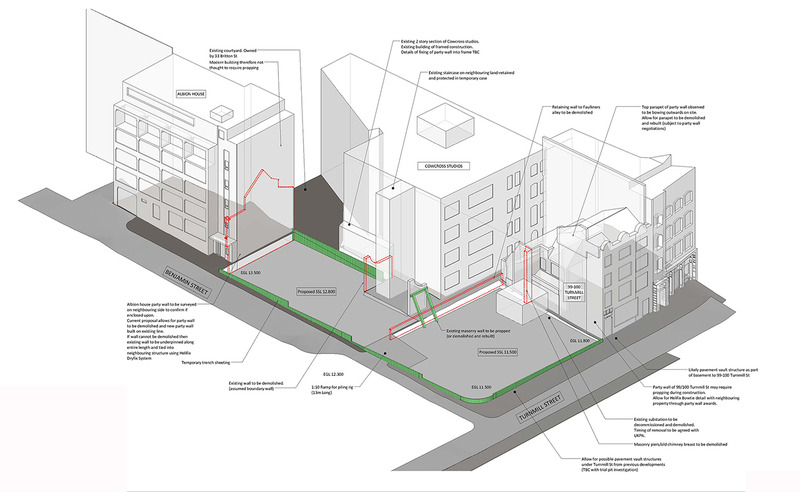 Constrained site requiring party wall agreements with neighbours, detailing and logistics to work around a public alley running through the centre of the site, satisfying Network Rail and London Underground requirements for working close to Farringdon Station and phasing to relocate an existing substation. 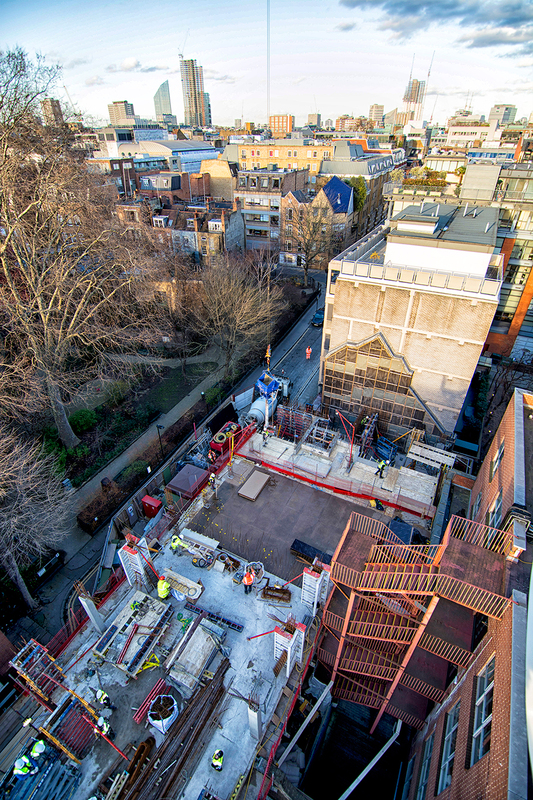 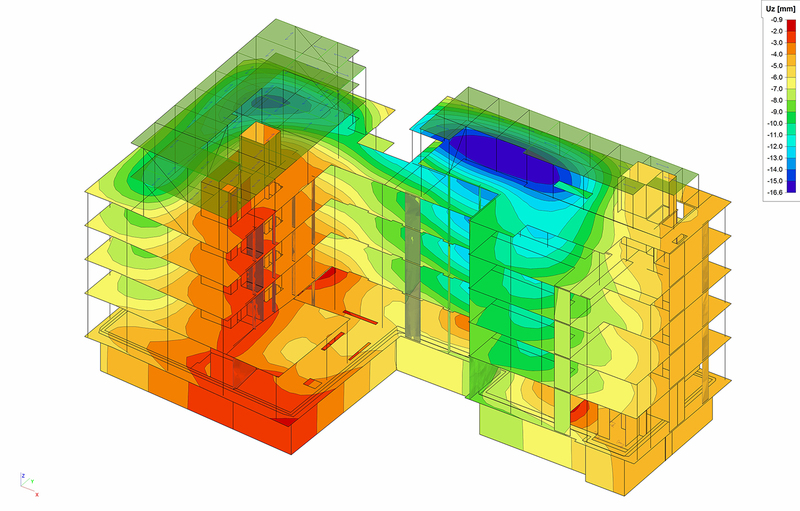 Unexpected obstructions needed to be detailed around, including existing piles and existing basements.